Join Ariel and Sebastian on exciting adventures in this palace playground! 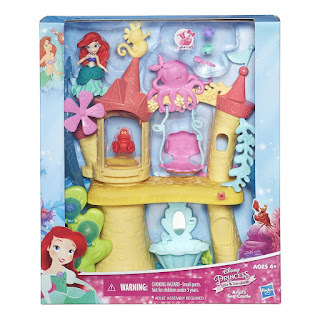 Ariel's Sea Castle comes with a slide, swing, and vanity. Place Ariel in the seaweed harness, and make her do flips in and out of the water. 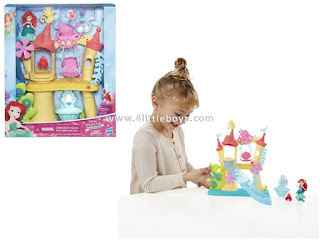 - Includes doll, bodice, peplum, skirt, playset (unassembled), 3 accessories, 5 Snap-ins, and instructions.